Ladies and gentlemen; boys and girls welcome to the Fantastic World of Foods for the Future where the future of food starts today. First off we'll see the revolutionary new Dip & Squeeze ketchup packets from Hienz. 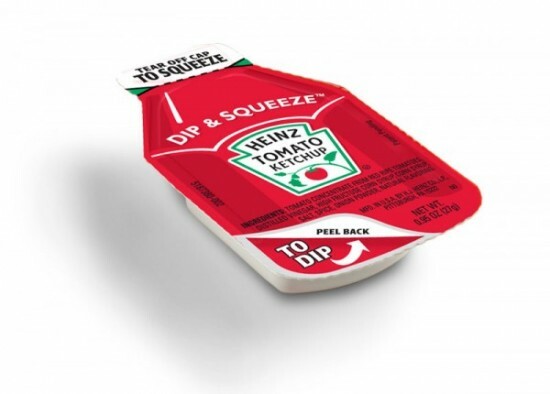 All the convenience of a squeeze packet plus all the convenience of a dipping cup in one package means double the convenince for double your condiment fun. It's not just neat; it's neato! The future of food sure looks bright and we haven't even seen the best yet. 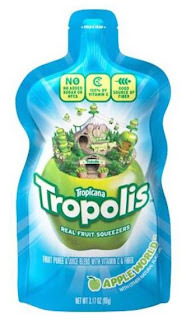 Next up we'll see PepsiCo's new Topicana Tropolis and gosh it sure is great. The future is a place for bold new ideas and bold new foods and by golly we here at the Fantastic World of Foods for the Future think that PepsiCo's plan "to 'snackify' beverages and 'drinkify' snacks" with their new product is just the kind of bold the future needs. Well that's all for today from us here at the Fantastic World of Foods for the Future. Tune in next time for more foods for the future. And remember folks the future starts today and boy is it swell! As mentioned in the previous post yesterday was Jules Verne's birthday and being a fan of science-fiction I set out to aquire a copy of his final published novel Paris in the Twentieth Century, in which the infamous Captian Nemo does not make an apperance but the title amused me, a quest which sadly failed to produce the desired result but which was great fun all the same. The search for this book lead me on a tour of the myriad, okay so there are really only four, bookshops which make their homes in Jacksonville, NC. 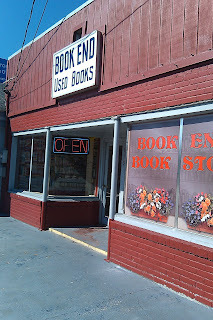 The first stop on my tour was a small used bookshop called Book End. This stop was actually by far the most interesting and has the most promise for future adventures. The Book End has been around for as long as I can remember but somehow I had never made my way through its doors. 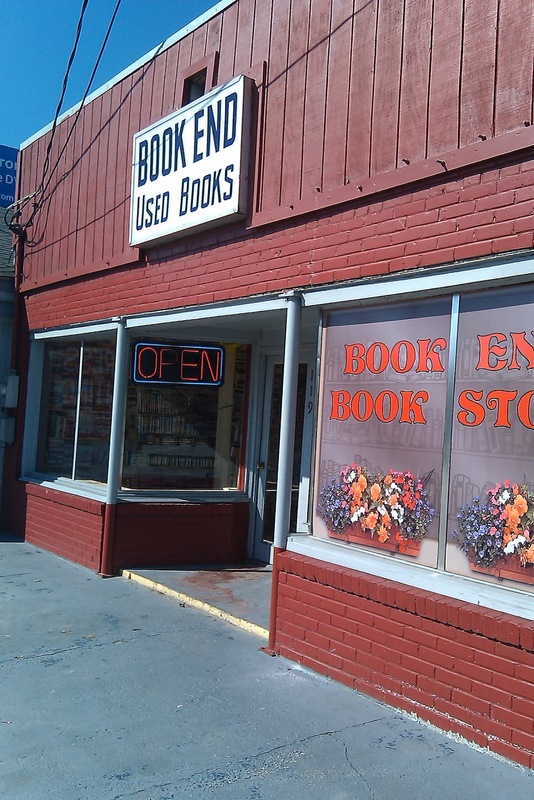 If you enjoy books and find yourself in Jacksonville I highly recommend visiting Book End. The shop has an incredible variety of reading material and the owner seems to know exatcly what is in the store and where it is despite having what appears to be only a very casual organizational system. While there was no copy of the object of my quest there were a number of other exciting finds and I left with a copy of Marvel Comics' Nextwave: Agents of H.A.T.E which eased the disappointment of failing to locate the actual object of the quest. 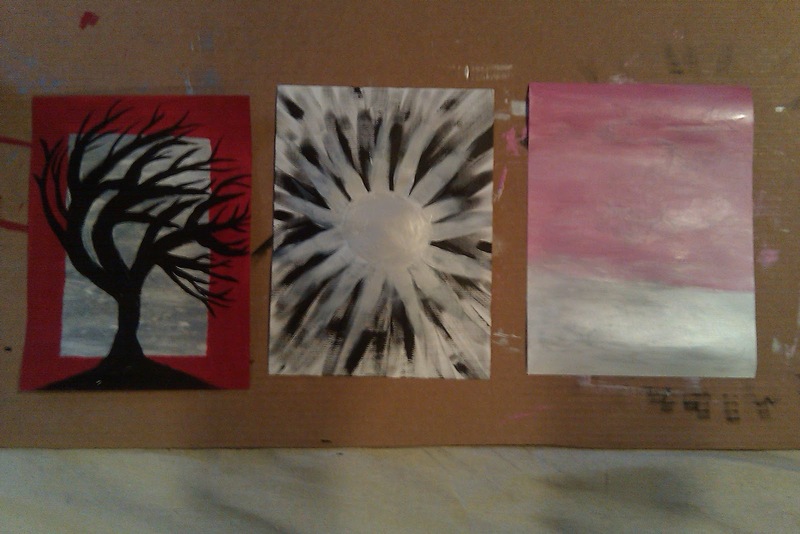 And I will definitely be making a return trip in the near future to see what other treasures I can unearth. It is also worth noting that I did in fact find Captain Nemo at the Book End as Verne's Twenty Thousand Leagues Under the Sea was among the Book End's collection of classic literature. My subsquent visits to Jacksonville's other bookshops yielded the same result and at the end of the day I was forced to return home, metaphorical tail between my legs, having failed to locate the sought after book. But fear not! The quest continues and I remain resolute and undaunted in my determination to locate and acquire a copy of the book. Further updates as events warrant. I had previously stated that I would give my thoughts on the Excellent Concave Serving Dish XLV in this post but seeing as "any pictures, descriptions, or accounts of the game without the NFL's consent is prohibited" and I do not have said consent it seems that I can't. Which is actually to say that I've simply decided I'm not interested in talking about it anymore. And unless you live under a rock you've heard it all already anyway. Unless of course you're deaf or hard of hearing; in which case you probably read the closed captioning.